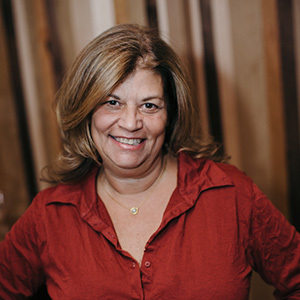 Laura Shack – Firefly Gastropub & Catering Co.
A longtime Berkshire resident, New York City native Laura Shack graduated Baldwin High School, attended Bradford College and transferred to New York University where she participated in Nutrition and Food Studies Program. The inspiration for her future career came from her mentor, Master Chef, James Beard, with whom she studied for three years. Laura credits Beard for encouraging her to start her own catering company, Placesettings, which she launched in 1980 in New York City and ran for ten years. Laura then moved to the Berkshires, drawn by her family’s long association with the Berkshires. She spent childhood summers at her grandparent’s cottage on Lake Buel in Monterey and later at her parent’s cottage on the Stockbridge Bowl. She opened the Roseborough Grill in Lenox in 1993, which had a very successful ten year run before she transformed it into the stunning new Firefly restaurant. Firefly has received remarkable reviews for its food, decor, service and award winning wine list.